When did you last replace your air conditioning and heating system air filters? If you can’t remember, it’s been too long. That’s why CJS Heating & Air Conditioning provides fast, affordable filter replacement services. The air filter is your air conditioner’s last line of defense. It protects you and your family from impurities in the air. It also keeps them from entering and damaging your air conditioner. Unfortunately, filter replacement is often forgotten—until now. CJS takes the trouble out of keeping filters fresh. We provide our Columbus-area customers with a variety of full service AC filter solutions including choosing the correct air filter for your needs and installing it. Why are dirty Filters Are Hazardous To Your AC System? Cleaner Air With regular air filter replacements, you will rest easy knowing your home’s air is clean. That’s especially helpful for asthma and allergy sufferers. Extended System Life With regular AC filter replacements, you ensure the life and efficiency of your system. Lower Energy Costs When its air filter is clean, your air conditioner runs more efficiently, lowering energy bills. CJS Heating & Air is ready to help find the correct filter for your system. We’ll install it and let you know when it’s time for replacement. 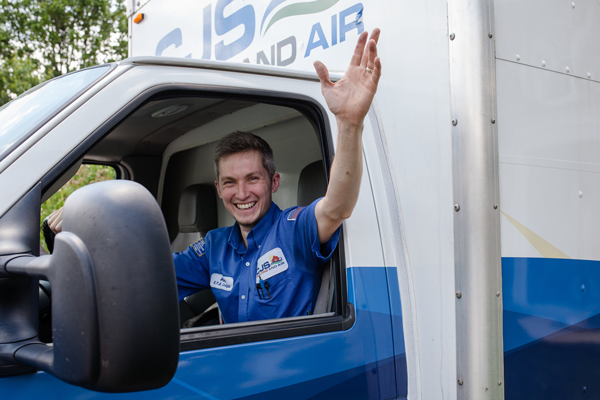 It’s the easiest way to keep your home’s air safe for you system and your family.